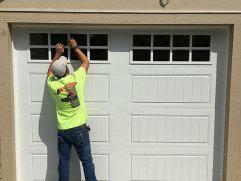 Royal Door is a skilled garage door services company based out of Lee’s Summit, Missouri. 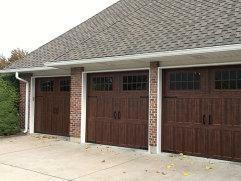 We provide complete residential and commercial garage door services, such as garage door installation, garage door repair for your broken garage door, and annual maintenance. While we work hard to fix your garage doors, we also have insight on different types of garage door accessories and openers for your different styles and brands of garage doors. Royal Door takes pride in our services and always puts our customers first. Our technicians are skilled and trained in both commercial and residential customers’ needs. Our garage door professionals can inspect and repair commercial or residential garage doors to help you easily get in and out of your home or commercial building. Our professionals can help you select a new garage door that best fits your garage’s opening on your home or commercial building. 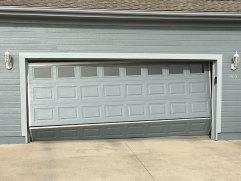 Additionally, we offer many choices and selections for your garage door to meet your aesthetic needs best. 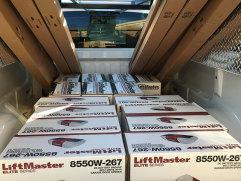 Royal Door offers many garage door opener and remote options by Liftmaster. Royal Door offers many replacement remotes, keychain remotes, and also keypads to help you find your optimal garage door experience. At Royal Door, we offer an annual Preventative Maintenance Package to ensure that your garage door and related equipment perform efficiently and consistently. At Royal Door, we understand that when your garage door stops working you need it fixed as quickly as possible. 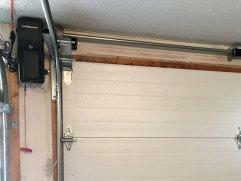 Having a garage door stuck unable to go down is a potential threat to the security of your home or your business. With that in mind, our representatives are available to take your call and help you as soon as possible. Our technicians know that when your garage stops working you need repair fast. With that in mind, call us at (816) 875-6015 or contact us if you are in need of garage door installation or repair.